According to Hindu Mythology chanting of Kuber Mantra regularly is the most powerful way to please God Kuber and get his/her blessing. To get the best result you should chant Kuber Mantra early morning after taking bath and in front of God Kuber Idol or picture. 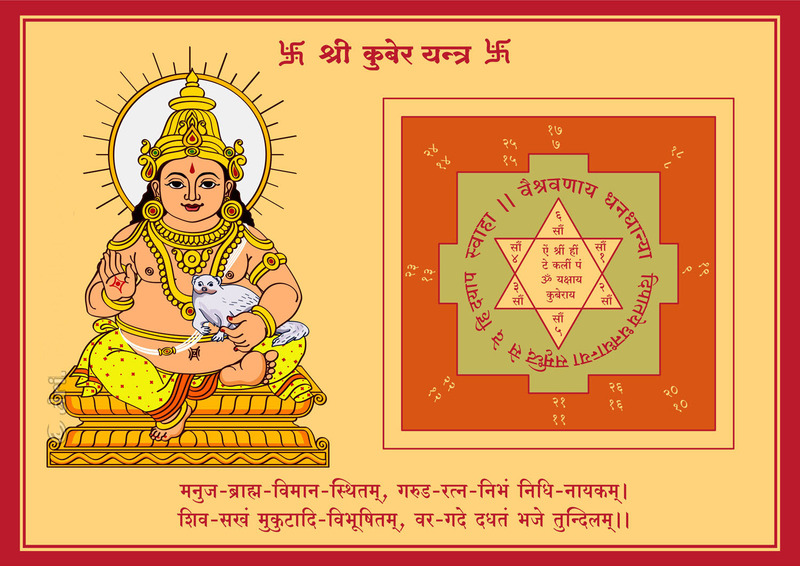 You should first understand the Kuber Mantra meaning in hindi to maximize its effect. 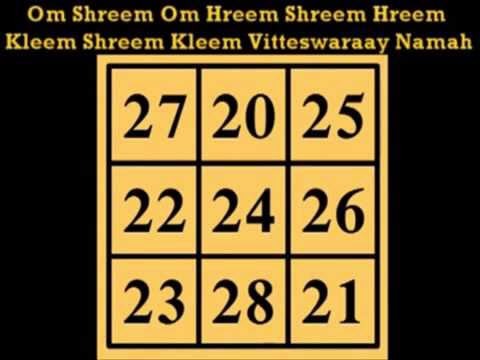 Regular chanting of Kuber Mantra gives peace of mind and keeps away all the evil from your life and makes you healthy, wealthy and prosperous. 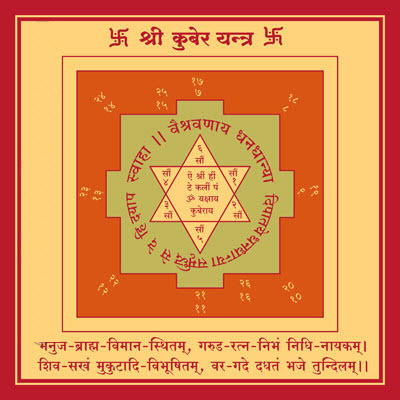 Categories: Stotra	Tags: kubera, mantra? Why is Om or Aum written before every mantra? While worshipping the God, a lot of mantras are chanted. But in every mantra there is a holy word attached to it. That word is Om i.e. Pranav . Whether Vedic, Pauranik or Beej Mantra, each one of these mantras are chanted starting with Om. Actually there is a secret behind using the word Om before chanting every mantra. This secret is revealed in the Dharma Shastras. According to the scriptures, the whole world is composed of three properties. The three properties are Raj, Sat and Tam. And Om is believed to be the ekaakshar brham, which is the creator and destructor of the entire nature. So, Om is the ruler or God the three properties of the world. Since of Lord Ganesha is also the Parabrahma of the nature, therefore, his name not just means Gano ka eesh, but also Guno (qualities) ka eesh. In simple words, Lord Ganesha is not just the God of heaven, but he is also the God of qualities. This is the reason why Om is also believed to be the symbol of Lord Ganesha. Being Mangalmurti, Lord Ganesha is the first God to be worshipped. This is the reason why the word Om is used before chanting any mantra for Gods. Chanting Om before any mantra means remembering Lord Ganesha first before any other God. The word Om has miraculous powers and is highly auspicious.